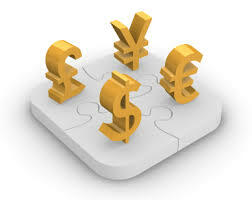 Home » forex » What is Currency Trading? The term “currency trading” can mean different things to many people. If you want to learn about how to save time and money on foreign payments and currency transfers, subscribe to receive updates on latest trends. Today we take a look on currency trading, as buying and selling currency on the foreign exchange (or “Forex”) market with the intent to make money, often called “speculative forex trading”. NB: We do not recommend any firms that offer this service. These articles are provided for general information only. Many firms don’t charge commissions – you pay only the bid/ask spreads. There’s 24 hour trading – you dictate when to trade and how to trade. Have You Received Invitations To Install 'WhatsApp Gold' Or 'WhatsApp Plus'? Pls Don't Install It! learning as much as possible about currency trading is the key to becoming successful, long term currency trader. Most information is on the internet or found in trading books, yet not easy to understand how to start currency trading business. The ideas presented here are good place to start.